What is the WIRL Challenge? 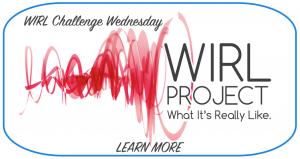 Every Wednesday, WIRL Project will release a very specific prompt that we want you to share or confess about. This means we want to know the nitty gritty details of what this particular topic is REALLY like. Contributors will use the specific “tag” to group their WIRL with the other stories submitted for the challenge. WIRL Challenges can be submitted by WIRL Project members, guests, and they can even be featured anonymously allowing you to confess the REAL truth without any repercussions! 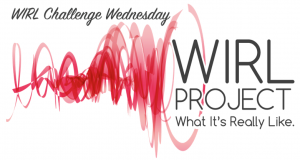 Throughout the day, we will share the stories and confessions submitted towards the previous week’s WIRL Challenge. Our editors will feature their favorites on the WIRL Project website and the super awesome ones will be blasted to our social media outlets reaching thousands of people! You can find all of our WIRL Challenge stories and confessions by clicking here or by searching using the appropriate tag in the search bar in the top right corner of the page. What Was it REALLY Like to Attend the BlogU Conference? Prompt: We want to hear from the faculty, bloggers, and amazing attendees of the recent BlogU conference. Let us know what you REALLY thought of the conference! What Is It Really Like to Work in the Medical Field? Prompt: We want to hear from medical professionals. Nurses, Doctors, Pharmacists, PA’s, Surgeons, Medical Representatives, etc. Better late than never! 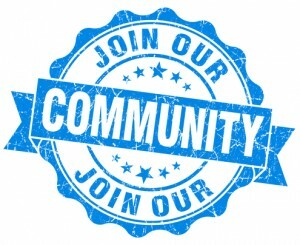 If you’ve missed a due date and have something to share about a previous WIRL Challenge we still want to hear from you! All of our stories are classic and timeless and it really doesn’t matter if you’re late to the WIRL party because someone will read and find your story to be entertaining, informative, relevant, or inspiring regardless of when you wrote it. Just use the appropriate “tag” in your submission and WIRL your little heart away! Submissions after the due date will not be featured on a WIRL Challenge Wednesday, but rather on other days of the week. #4 WIRL Medical Professionals: What Is It Really Like to Work in the Medical Field? #3 WIRL Twins: What is it REALLY Like to Be or Have a Twin? #2 WIRL Blogging: What is Blogging REALLY Like? #1 WIRL Workout: What Does Working Out REALLY Mean to You?